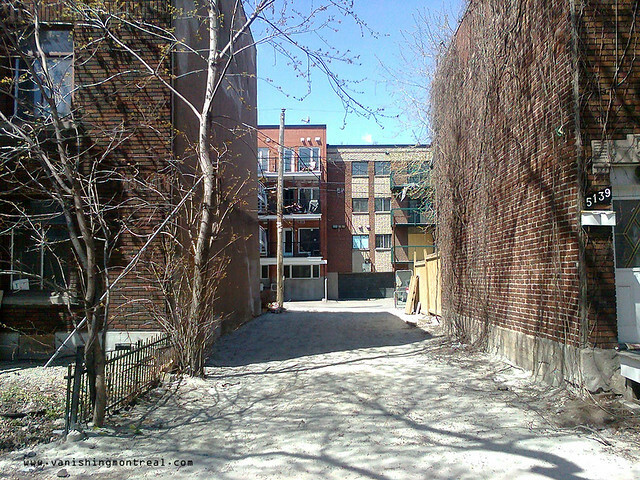 This empty lot is what's left of a small house that used to be there on Sainte-Marie in Saint-Henri. 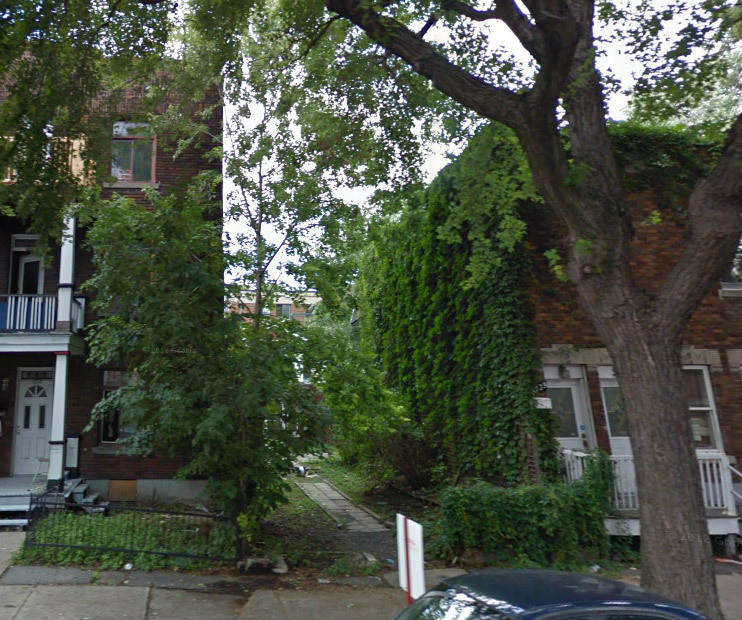 I don't have a picture of said house but you can see a glimpse of it in the Google Streetview screenshot below. 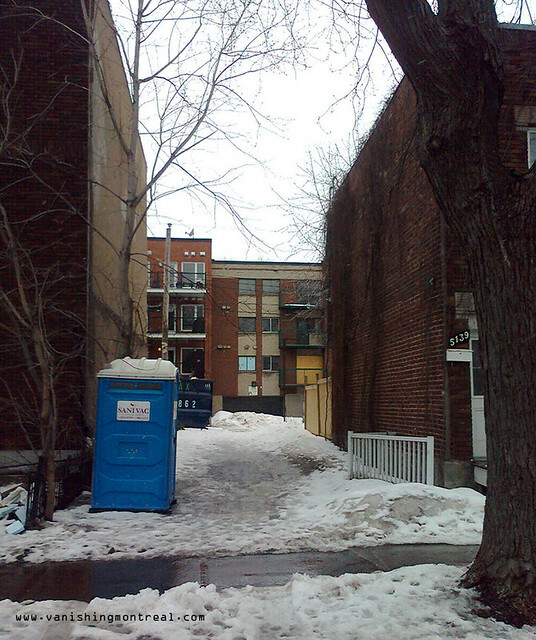 The photo directly below was taken in March 2013 with bin and portable toilet still present while they finished demolishing the small house.